New Cigars Janury 2019! – The Oak Lounge – Cigars and whiskies of the world! 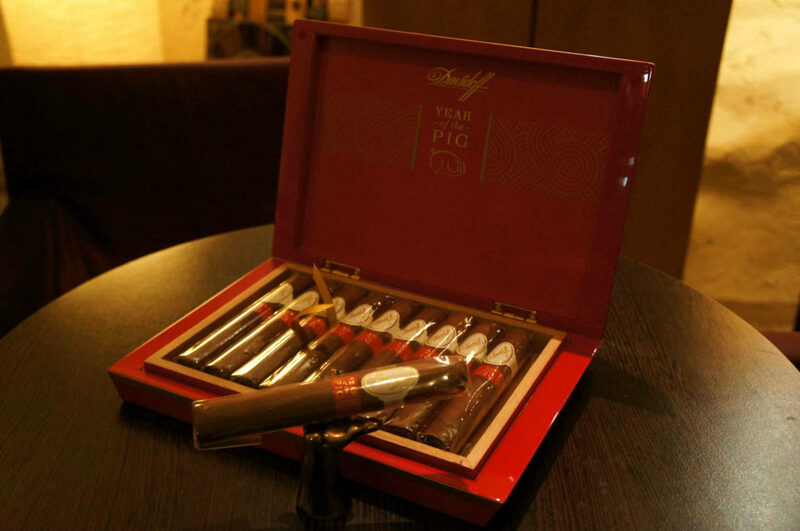 In celebration of the Chinese new year we have a new cigar to add to our collection – Year Of The Pig ! 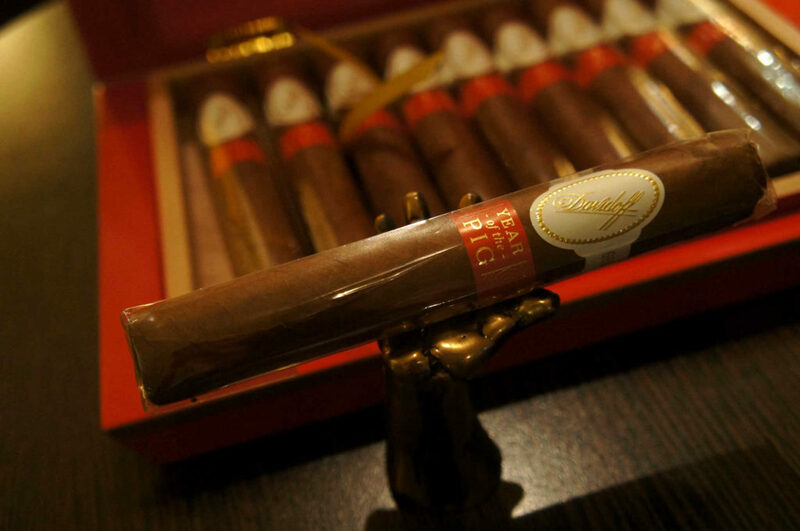 Davidoff Limited Edition Year of the Pig 2019 is made in the Dominican Republic. The cigar features an Ecuadoran Habano 2000 wrapper, Mexican San Andrés binder and filler from Nicaragua and the Dominican Republic. This Gran Toro is 6 inches by 56 ring gauge and it is topped with a pigtail cap. It is a Medium to Full bodied cigar. In the beginning the experience is creamy with notes of pepper and oak wood. The second third, intense roasted notes and aromas of leather and spice start to develop. In the last third, flavors of oak wood, leather and pepper are more dominant, adding complexity to the cigar. Come treat yourself with this excellent cigar at The Oak Lounge. Special price all through January!